Cross-border trade is an important part of both the American and the Canadian economies. In today’s interconnected world, this trade is significantly easier as innovations in communications technology have allowed business dealings to be effectively conducted over long distances without needing the parties involved to be physically present. Despite this being the case, and no matter how advanced technology gets, some situations in the working world might require physical participation or call for face-to-face interaction. Many Americans have work-related ties in Canada, the nature and importance of which vary widely depending on the circumstances. Whether going to see a client, an employer, a supplier or a distributor, the need to travel to Canada is not uncommon for certain Americans who have dealings with Canadian companies or residents. While most of this business is unaffected by its cross-border nature, this is unfortunately often not the case for those Americans who have been arrested and/or charged with an offence. Such individuals might have serious difficulty when attempting to enter Canada, and can encounter heavy scrutiny from Canadian immigration authorities. Many Americans may be surprised that even a seemingly minor incident on one’s record can affect their ability to carry out their work in Canada. Because most work-related trips to Canada are of a short duration and are often beneficial to the Canadian economy, individuals may not expect to be met with resistance when crossing the Canadian border. However, in many cases, no matter how significant a benefit Canada might derive from an individual being able to conduct his or her business in Canada, he or she is denied entry to the country. 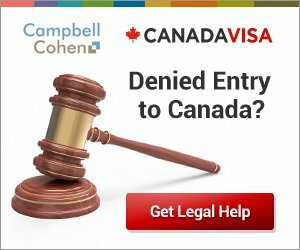 If determined to be inadmissible, individuals can be refused entry to Canada. The repercussions of this can be wide ranging and have the potential to extend beyond the one particular trip not taking place. The Canadian business relationship can be jeopardized, and the individual’s employment might even be put at risk. If someone is in danger of being denied entry, there are steps he or she can to minimize the chances that their livelihood will be effected by mistakes from their past. Canada is often the setting for events that are geared towards specific industries or that cater to certain groups of people with shared interests. 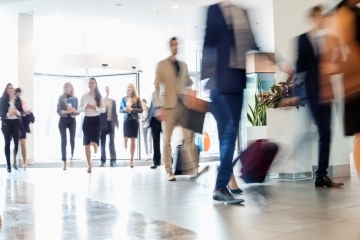 In addition to serving as an opportunity to socialize and network with like-minded individuals and colleagues, these events often play a pivotal role in marketing a particular company’s product or service. They can also lead to collaboration and innovation within an industry, and can be revealing as to its general direction and trends. For these reasons it is often important that Americans be able to attend these events. They may need to do so for any number of reasons and in different capacities. Some could be compelled to attend simply out of interest, others can do so for the purposes of market research, while others might be active participants or even organizers of the events. In many cases Americans are either directly or indirectly financially vested in the event, such that their inability to attend will negatively impact their bottom line. In these situations being found inadmissible to Canada can and does cause an issue for many Americans with blemishes on their criminal record. In many situations, such individuals are turned away from the border and denied entry to Canada for the same reasons and in the same manner as described above. Criminal inadmissibility is taken seriously by Canadian immigration authorities.